* Longtime Hawaii sportscaster Kanoa Leahey recently joined Pacific Media Group. He is the newest voice at ESPN Maui AM 900 and is hosting a two-hour midday sports talk show, “Let’s Talk Sports with Kanoa Leahey,” 11 a.m to 1 p.m. Mondays to Fridays. The show features live interviews, listener call-ins and the latest sports happenings on island and throughout the state. He also is part of the company’s live sports broadcasts. He recently was sports director at KHON2 in Honolulu. * Nancy La Joy has been named executive director of the Pacific Cancer Foundation. 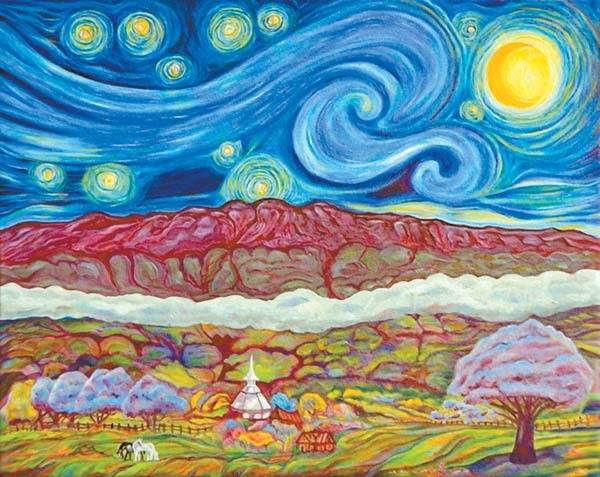 La Joy of Paia specializes in business and nonprofit management. She was recently the executive director of a regional housing authority in Colorado, where she worked closely with leaders in the business community to increase awareness of the organization’s mission and to increase contributed income, according to a news release. 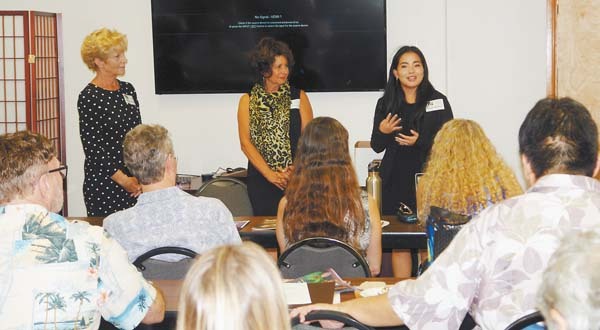 Pacific Cancer Foundation serves the Maui County community by providing access, knowledge and support to promote optimal care and to improve the quality of life for cancer patients, survivors and their families, the news release said. * Jansen Mederios has rejoined Hawaiian Hotels & Resorts as managing director. He is responsible for the oversight of the Royal Lahaina Resort on Maui and the Royal Kona Resort on the Big Island. Headquartered at the Royal Lahaina, Mederios will support both resorts with operational and financial analysis, as well as spearhead project management and strategic planning. He also will lead the efforts in acquisition and development for new business opportunities, a news release said. Most recently, Mederios spent two years as corporate analyst at Prism Hotels and Resorts in Dallas, where he helped support more than 50 hotels across the U.S. in areas including hotel operations, acquisitions strategy, sales and hotel design and construction. * Master Distiller Bill Scott has joined Ocean Vodka and will be in charge of production. Scott is widely regarded as one of the top spirits industry leaders in the arena of white spirits production (fermentation and distillation), spirits flavoring systems and innovative product development, according to a news release. He has 18 years in the spirits industry and has received many accolades and awards for his work. The Ocean Vodka Organic Farm and Distillery is in Kula. * Atlantis Adventures, which has submarine tours on Maui, Oahu and Hawaii Island, has announced two recent appointments. Jonelle Shimamoto, a graduate of St. Anthony Junior Senior High School, has been promoted to marketing and public relations manager. She is a 14-year employee of Atlantis. 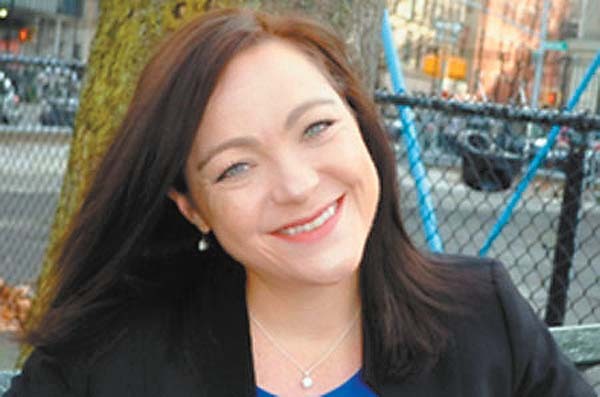 Annika Seavey, has been named brand manager. She has 15 years of advertising and media buying experience. 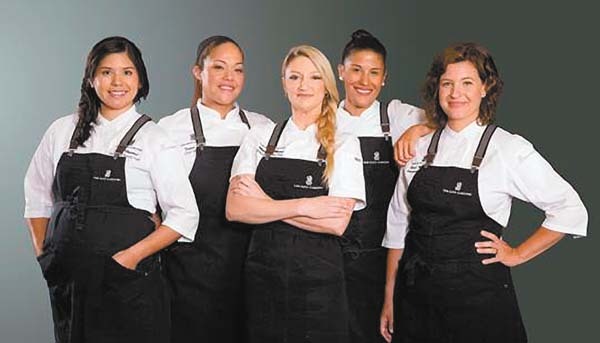 She recently spent eight years with Core Group One, a Honolulu advertising agency. * Wailea Realty Corp. recently hired Liza Pierce as its new interactive media strategist. She has a background in online marketing, social media management, blogging and digital marketing strategy. She will oversee the development and coordination of Wailea Realty’s digital efforts, while maintaining the company’s digital presence. She also will train agents in the efficient and proactive use of social media. 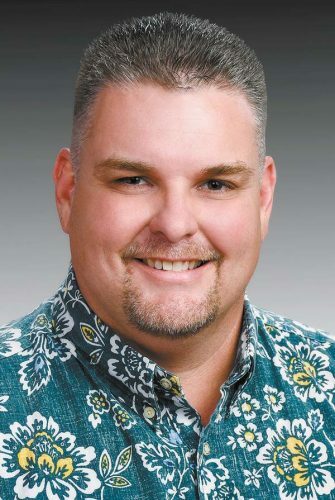 A Maui resident since 1994, Pierce has nearly 20 years of experience in the real estate industry. She is also an award-winning blogger. * Carlene Rafael has joined Hale Makua Health Services as the director of financial services. Most recently, she worked as an audit senior at N&K CPAs in Honolulu, where she provided audit, review and compilation services for clients in the construction, nonprofit, government and retail sectors. She previously worked at Niwao & Roberts CPAs in Wailuku and at the Westin Ka’anapali Ocean Resort Villas accounting department. * Dr. Frank Andrew Celigoj has been appointed to Maui Medical Group’s urology department. He is an experienced health care professional trained to diagnose, detect and treat urinary disorders and disease, according to a news release. Celigoj is from Kent, Ohio. He completed his medical degree at Case Western Reserve University School of Medicine in Cleveland. He served his residency at the University of Miami/Jackson Memorial Hospital and fellowship training in the University of Virginia Health System specializing in andrology and male infertility. He is a licensed urologist in Virginia. 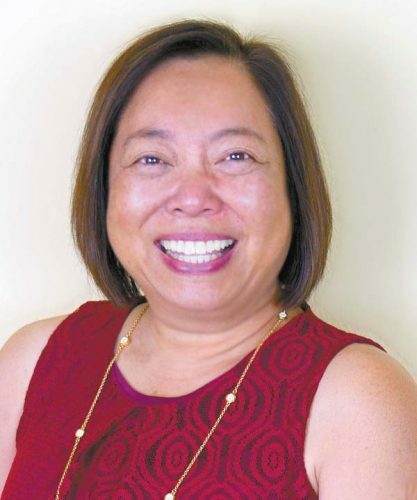 * Kathren Rosales has joined Mason-McDuffie Mortgage as a senior loan officer at its Kihei office at 1325 S. Kihei Road Suite 212. Rosales started in the mortgage finance industry in 2007 and quickly became a top producing loan officer. During the peak of the Great Recession of 2008-09, she closed mortgage transactions totaling more than $10.5 million with a large national lender, according to a news release. Rosales is a graduate of the University of Phoenix with a bachelor of science degree in computer science and has additionally completed other business management courses. Mason-McDuffie is a privately held, mortgage banking firm headquartered in San Ramon, Calif.
Ka’anapali Beach Hotel recently announced the hiring of Tiffany Rosenthal, as sales manager and Jennifer Welsh as marketing assistant. Rosenthal will further develop efforts in travel agent and group sales markets. She previously was at Walt Disney World Co., Marriott Maui Ocean Club and The Ritz-Carlton Club, Kapalua as executive and guest relations coordinator. Most recently, she served as marketing manager at Maui Diagnostic Imaging for more than three years. Welsh has 10 years of marketing experience. She was previously at Kapalua Resort. As marketing coordinator there, she managed media planning for golf, tennis, retail and signature events including PGA Tour golf tournaments and the Kapalua Wine & Food Festival. She was also the projects manager for the Fort Atkinson Chamber of Commerce in Wisconsin. * Mason-McDuffie Mortgage Corp. has recently opened offices in Kihei and in Lahaina. Real estate industry veteran Tera L.H. Paleka has joined Mason-McDuffie Mortgage Corp. and opened its office in Lahaina at 727 Wainee St. Suite 100. Paleka has 21 years experience in the residential mortgage, commercial financing, real estate sales and property management and escrow fields. Previously, she founded Hawaii Financial Services in 2003. In 2006 and 2007, the firm was recognized with the “Fastest 50 Award” for the fastest-growing companies by the state of Hawaii, Pacific Business News, First Hawaiian Bank, Pacific Light Net and PriceWaterHouseCooper’s, a news release said. In Kihei, Sharon Robinson is the branch manager. Also joining her are Stephen LeBoeuf and Patricia Ward. The office is at 1325 S. Kihei Road, Suite 212. Robinson has been serving real estate agents and their clients for 34 years on Maui. Previously, she worked as branch manager for Guild Mortgage, Caliber Funding and Central Pacific Bank. LeBoeuf has 17 years experience and has worked for Sanford Institution for Savings, Mortgage Network and First Horizon Home Loans. Ward serves clients on Maui, Kauai and the Big Island in Hilo and spent 23 years working in the mortgage industry. She is also a certified paralegal. Mason-McDuffie Mortgage is a privately held mortgage banking firm headquartered in San Ramon, Calif.
* Maui Memorial Park and Nakamura Mortuary recently named Meghan Nakamura as location manager of Nakamura Mortuary, a division of Hawaii Funeral Services LLC. She will work alongside the management team at Maui Memorial Park to provide “end-of-life” services to the Maui community, a news release said. Nakamura was born on Kauai and is not related to Nakamura’s founders.